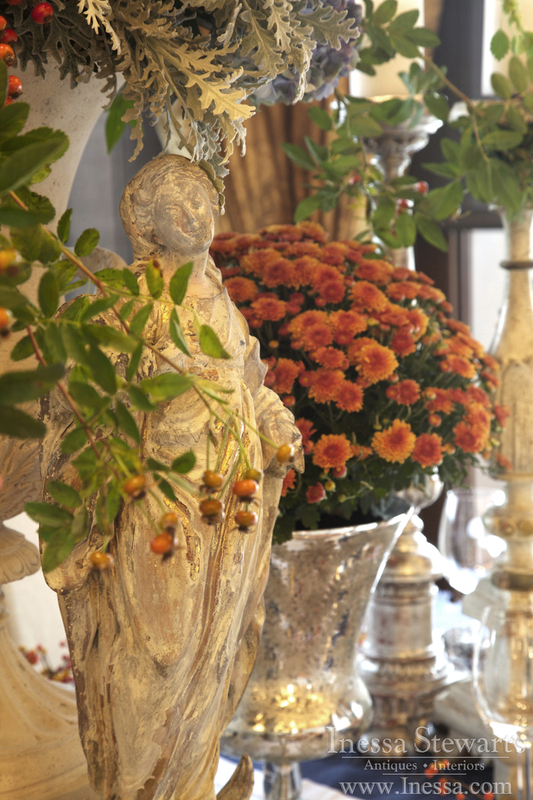 For antique collectors, any change in season is the perfect excuse to use antique furniture and accessory finds to make a splashy tableau around a home, showing off their treasured collection. 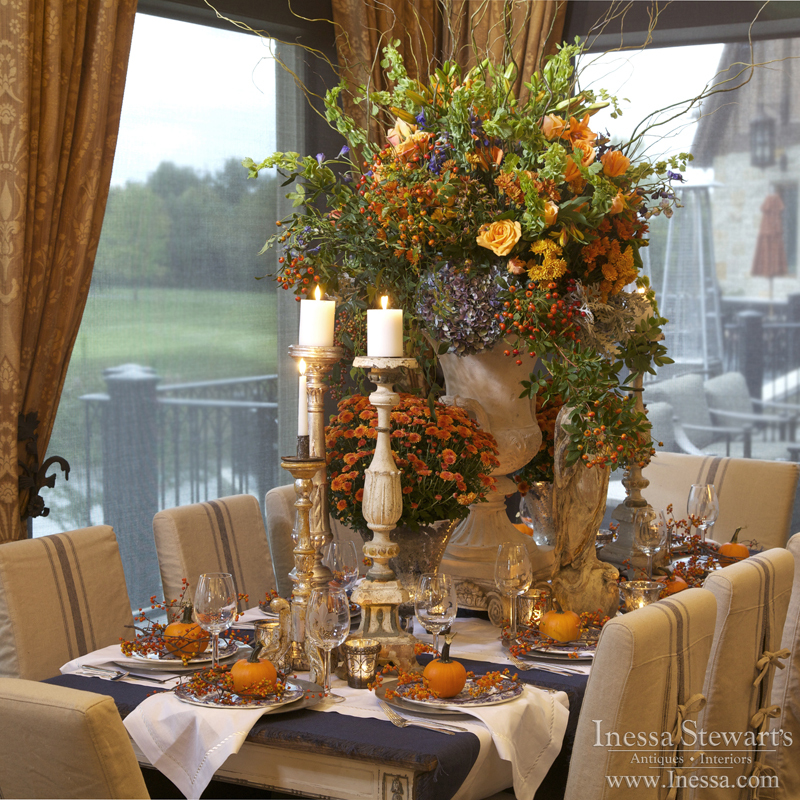 As we gather next week for Thanksgiving, we look for inspiration when creating table settings that express our own personal taste and the love we have for those with whom we share this special day. 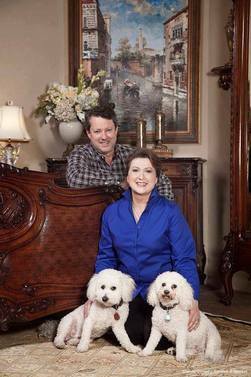 These creations are etched into our memories, gleaned from our personal collections and family mementos. 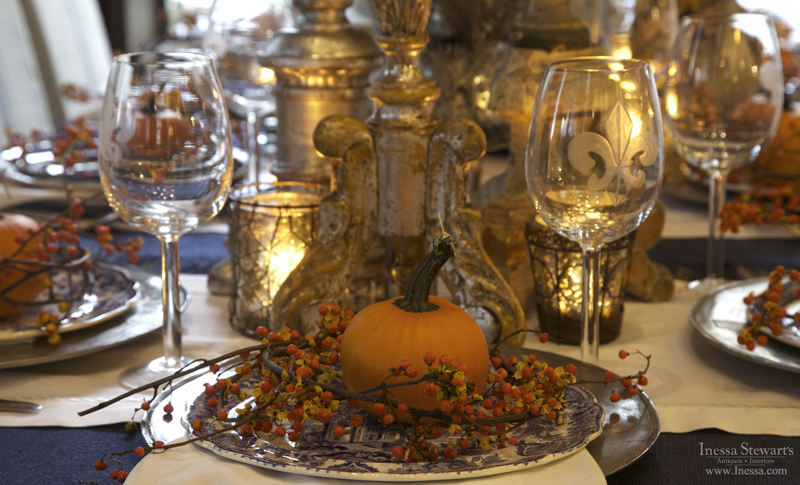 Whether inspired by the rustic or more formal decor, antiques are an excellent starting point for our holiday table display. 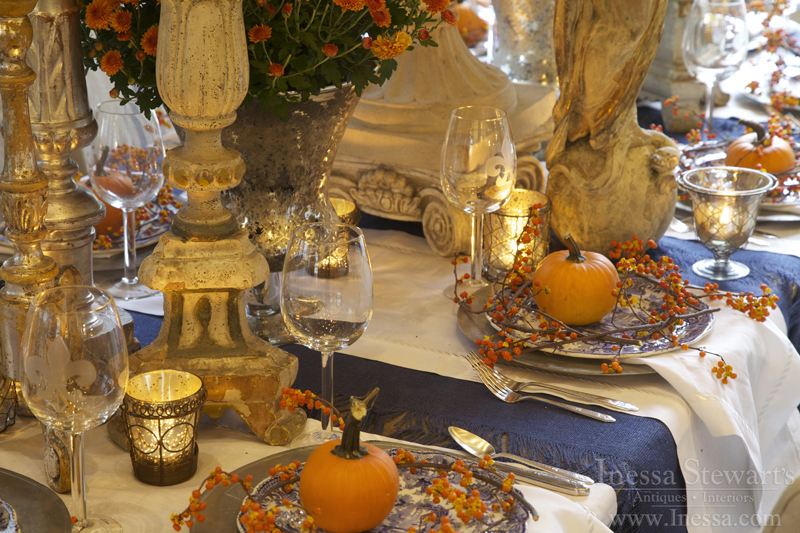 Make a perfect mix of rustic and refined by bringing in the element of nature with delicate wreaths on blue transferware plates topped with small pie pumpkins to heighten the autumnal appeal. 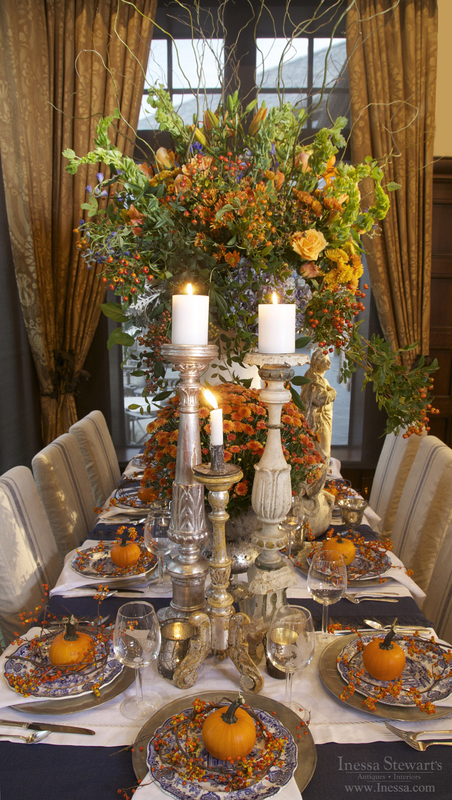 This 18th Century Italian Madonna statue makes an eye-catching centerpiece for our celebration while adding a timeless and tender element to this table setting. 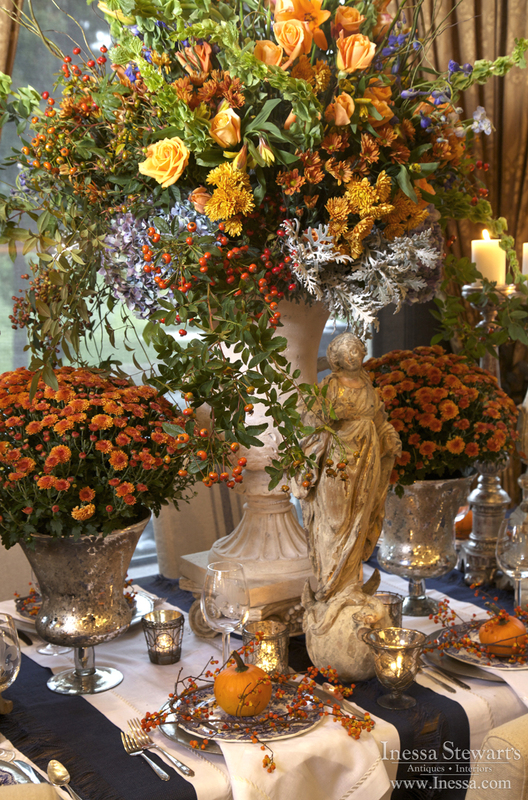 The dusty miller, mums, berries, hydrangeas, lilies and roses in rusty hues complete this vibrant, seasonal tableau! It ushers cooler breath of winter. With every shimmer of a leaf and in ever timber’s splinter. 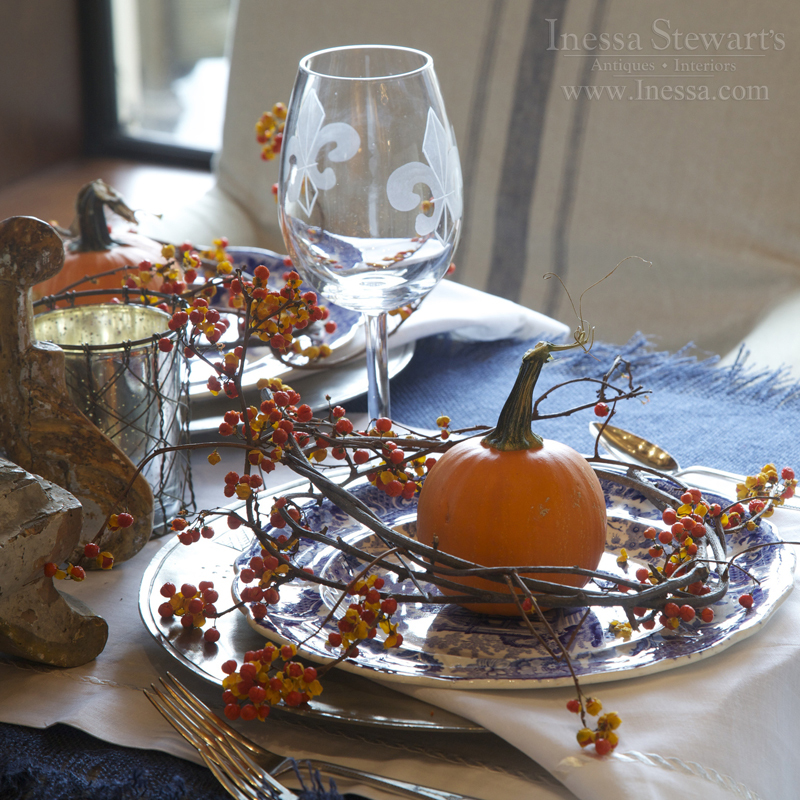 The palette of every fruit and berry cluster. With feasts of harvest embracing us into ancestral fold.